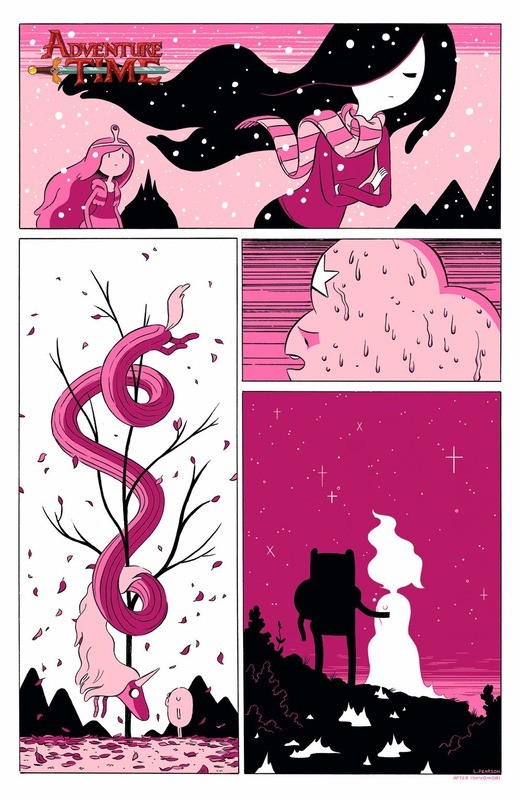 Adventure Time 30 Pays Tribute To Zines/Mini-comics! Boom! Studios, home to several creators who "grew up" in the world of mini-comics and zines and a plethora of variant cover artists who also share that that background, announced in a recent press release that issue 30 of their insanely popular (and usually pretty amazing) series Adventure Time would be a tribute to mini-comics and zines. June 19, 2014 - Los Angeles, CA - KaBOOM!, an award-winning imprint of publisher BOOM! Studios, and Cartoon Network Enterprises, the licensing and merchandising arm of the network, are pleased to announce that July’s ADVENTURE TIME #30 will be a special stand-alone issue that honors the thriving DIY (“Do It Yourself”), mini-comics culture, printed on uncoated paper and made to look like a homemade zine from the citizens of Ooo. This issue features a cavalcade of indie creators, including longtime ADVENTURE TIME writer Ryan North and artists Shelli Paroline and Braden Lamb; plus artists Liz Prince (Alone Forever), Carey Pietsch, Rebecca Tobin, Kat Philbin,T. Zysk (ADVENTURE TIME), Missy Pena (BRAVEST WARRIORS), Jesse Tise, Ian McGinty (ADVENTURE TIME, BRAVEST WARRIORS), David Cutler, and Yumi Sakugawa (I Think I Am in Friend-Love with You). I cannot stress enough how much that second paragraph warms my heart. Too often, comics is treated like the default setting for creators, fans, and publishers has to be Balkanized. It's really nice seeing Boom! 's Editor in Chief not only acknowledging that zines/minis exist and are a vibrant part of the comics community, but that the staffers at Boom! actually read--and even make!--zines and minis themselves. It's no wonder that Boom! is snagging these folks--they've got their eyes on the ground. It's nice to see Carey and Liz get their shot at this, and I'm really looking forward to reading the issue. Though I'm a digital guy, this is one time where I plan to get a paper copy. It's the zine-y thing to do! Adventure Time 30 will be on sale July 16th, digitally and in print, for $3.99. This is one of the few times I'll actually tell you to find a comic shop and get the print edition.